Operation Bluestar was a two-fold operation - the first one was called Operation Metal, which was restricted to eliminating the armed militants holed up in the Golden Temple. This was followed by Operation Shop, which was carried out across Punjab to ensure that all suspects were captured or killed. Amritsar: Security has been heightened in Amritsar and it neighbouring areas on the 34th anniversary of Operation Bluestar today. Several units of the Punjab Police have been deployed across Amritsar to ensure that law and order is maintained. Paramilitary forces have also been called in. 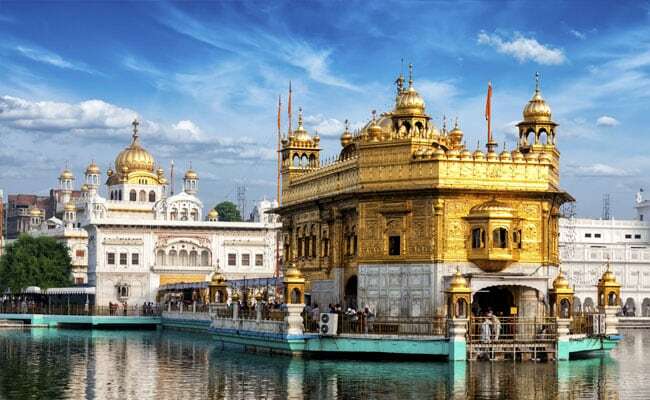 Punjab's Director General of Police Suresh Arora and other senior police officers also visited the Golden Temple (Harmandir Sahib) to assess the security measures being taken to ensure peace and tranquility on the anniversary of Operation Bluestar. Operation Bluestar was a military operation that was carried out in June 1984 to flush out armed militants who were holed up in the Golden Temple. The operation had to be carried out in order to get back the control of the Golden Temple (Harmandir Sahib) from the militants. The Harmandir Sahib, also known as the Golden Temple, is considered as the holiest site for Sikhs. WHAT WAS OPERATION BLUESTAR? WHY WAS IT CARRIED OUT? In the first week of June, 1984, the Indian military carried out an operation within the premises of the Harmandir Sahib or Golden Temple. The operation, which was carried out under the orders of then prime minister Indira Gandhi, was done so to save the sanctity of the holy site by flushing out the Sikh extremist religious leader Jarnail Singh Bhindranwale and his armed militant group. Bhindranwale, who was reportedly backed by Pakistan's ISI, had made his demands clear - he wanted the Indian government to pass a resolution which would allow India to be divided, thereby creating a new country for Sikhs called 'Khalistan'. Radical separatist Jarnail Singh Bhindranwale had started laying the groundwork for his demand in 1982, and by mid-1983 managed to gain support for his plan to divide India. His operations and plans were reportedly supported by Pakistan's ISI, which helped him in spreading militancy in the state, and also provided him with arms and ammunition. In mid-1983, Bhindranwale and his armed militant group entered the Golden Temple (Harmandir Sahib complex) and took over its control. They then set up a base inside. Taking back the control of the Golden Temple from armed militants and preserving its sanctity was not easy. Being the holiest site for Sikhs made the decision even tougher to take. But after nearly a year of consultations and trying to negotiate, then prime minister Indira Gandhi decided that the only option left was to carry out a military operation. This led to the Operation Bluestar. Late at night on June 2, 1984, the Indian Army carried out Operation Bluestar. Curfew was imposed across Punjab. No one was allowed to travel to or from the state. All channels of communication were blocked as well. The operation was considered a success, at the end of which Bhindranwale and his group of militants were killed. However, there were casualties among civilians and armed forces personnel as well. Operation Bluestar was a two-fold operation - the first one was called Operation Metal, which was restricted to eliminating the armed militants holed up in the Golden Temple complex. This was followed by Operation Shop, which was carried out across Punjab to ensure that all suspects were captured or killed. Though the Golden Temple was restored and made free of militants and arms, the operation was criticised by Sikhs the world over, since it was carried out at their holiest site of worship. The long-term result of the operation left the "ISI-backed" Khalistan movement defeated. It also left India united, and Punjab free of militancy, and ensured that the Golden Temple is free of violence, guns and ammunition.